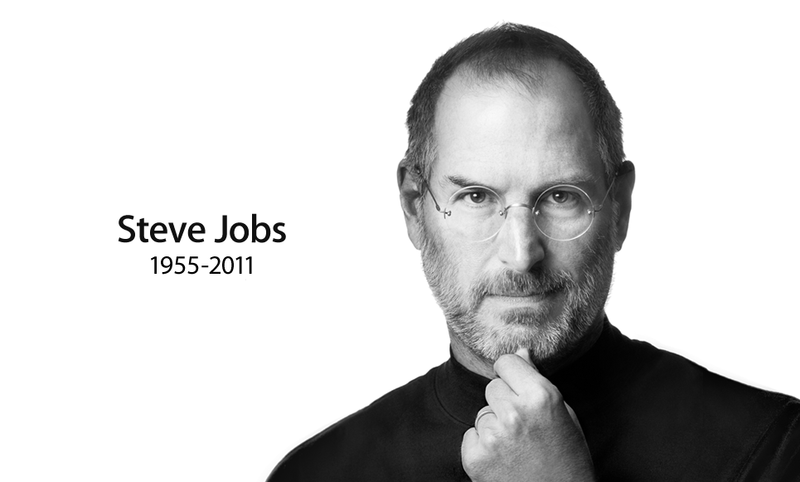 President Obama made a good point when he said "there may be no greater tribute to Steve's success than the fact that much of the world learned of his passing on a device he invented." I'm going through my Facebook and Twitter feeds on my Mac to see that they are now filled with his inspiring words about following your passion. So I thought I'd add my favorite to the mix. This news coupled with my breast cancer awareness coverage, a funeral, and a close friend's health concerns have left me feeling quite sad and inspired. A mind and life fully lived are such terrible things to waste. Don't deprive the world of your greatness. UPDATE: Thursday morning's BET.com assignment: a roundup of Steve Jobs' most significant inventions. I'm a mini expert on the man now. Being a geek - I first heard of the "legendary" Steven Jobs back in the day when I had an Apple IIe (with 64K of memory! circa 1983-4) and heard how the company had started in a garage (much like Hewlett and Packard, now Compaq). The first Apples were hand-built by Steve Wozniak. I hope the spirit of the big geek lives on. I guess I'm old fashioned... I heard about it via a regular radio. It's pretty amazing, what an impact he had on the world. I keep thinking that he started Apple when he was much younger than I am now. I have been wasting so much time.